This power came forth out of the Atlantic Ocean. Through the Pillars of Hercules lies an island empire of shinning Gold & Marble. A utopia the likes of which will never be equaled by humanity. 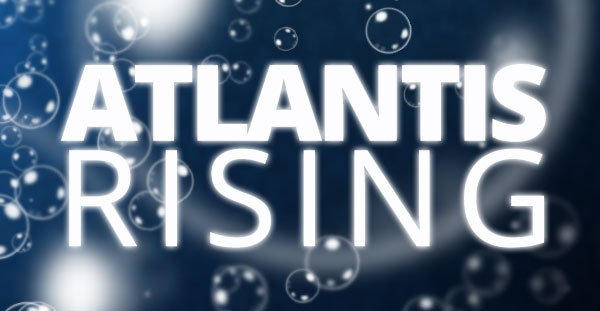 Violent earthquakes and floods are slowly sinking the mighty Atlantis into the sea. However, hope is not lost, a mystical portal of 10 components can be built and save the island and all its inhabitants, but fail to build it in time and the island will sink forever under the waves, lost to legend. Perhaps you will tap into the power of the mystic energy source - the lifeforce of Atlantis and key to its advanced technology. You may even seek refuge in the vast libraries of the Lost City, hoping to find some tome which will lead to salvation for the doomed isle. Beware though - even as the island sinks into the sea, only you can save the timeless city of sparkling wealth & beauty.